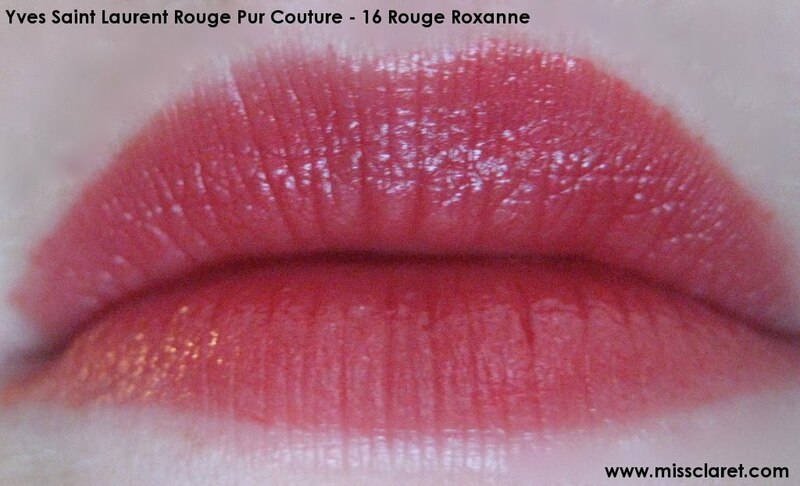 YSL's Rouge Pur Couture Rouge Roxanne is a coral pinky red and is refreshing for summer. 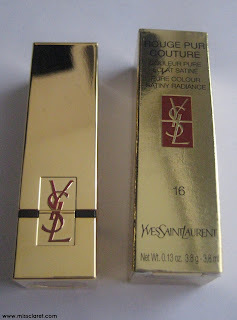 YSL's Rouge Pur lipsticks are highly pigmented and moisturizing but also quite slippery and I have noticed they are prone to feathering. It may be due to moving countries, the climate being different and changes to my skin, but whatever the reason, I do find it necessary to use a lip liner (and my magical clear liner) to make this product stay put. 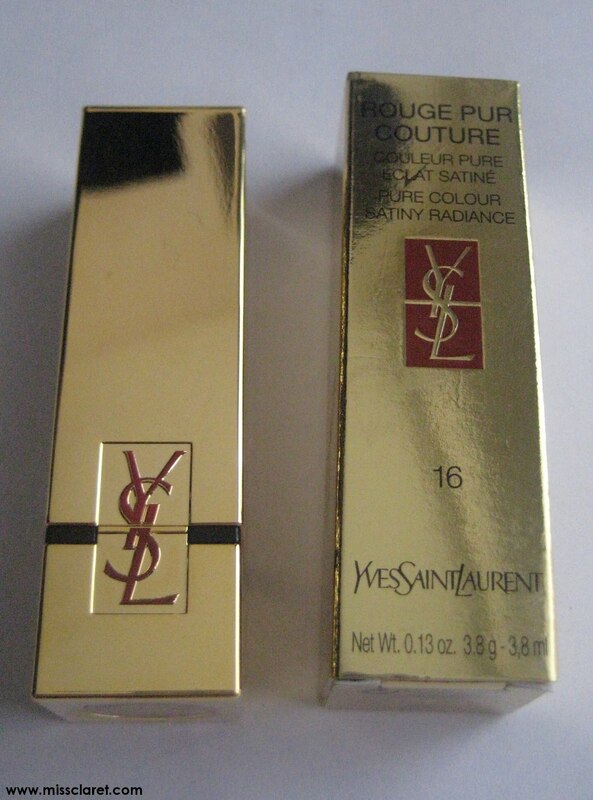 Overall the product is fairly good...... just best to to wear a liner! I have the belle de rose Lisa Eldrige showed in a video. 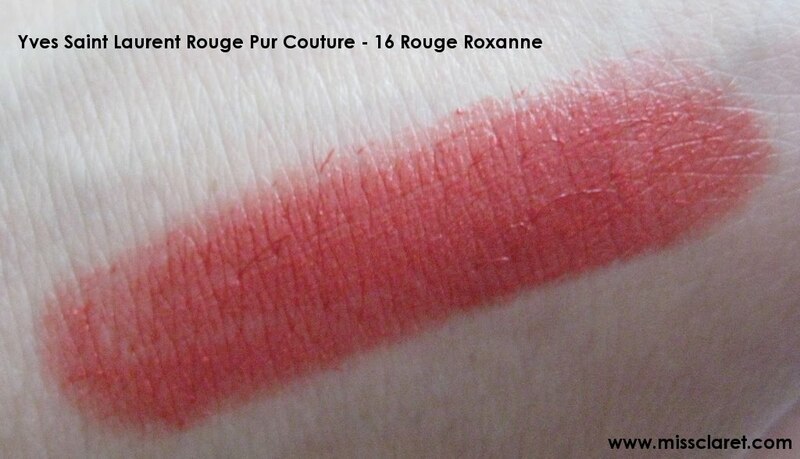 The colour is beautyful but as you say it is quite slippery and need to apply it with brush and blot once or twice. Belle De Rose is also on my wish list!! 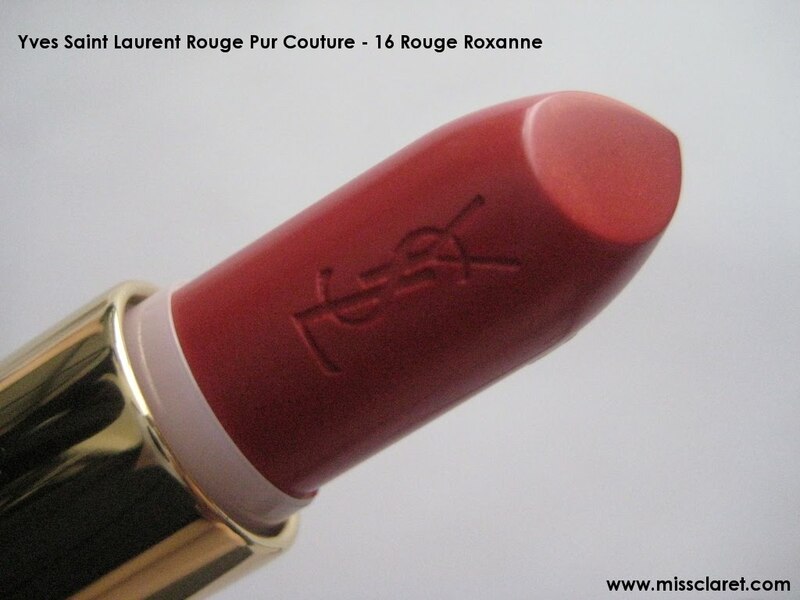 I think it is such a shame that these YSL lipsticks are so slippery - the colours are stunning! I saw on a russian blog that this particular shade (belle de rose) is quite similar to roman rouge by lutens.